TORONTO – Directors often claim full authorship of their movies in the credits but if ever someone merited that it is Alfonso Cuarón who is the writer, co-editor, cinematographer, producer and director of his dramatic masterpiece titled ‘Roma’. It is touching, funny and thrilling and it deserves every accolade and award coming its way. The Academy Award-winning Mexican filmmaker (‘Gravity’) has created a film that is at once intimate and epic, a close-up look at ordinary folk and a sweeping tale on a grand scale. 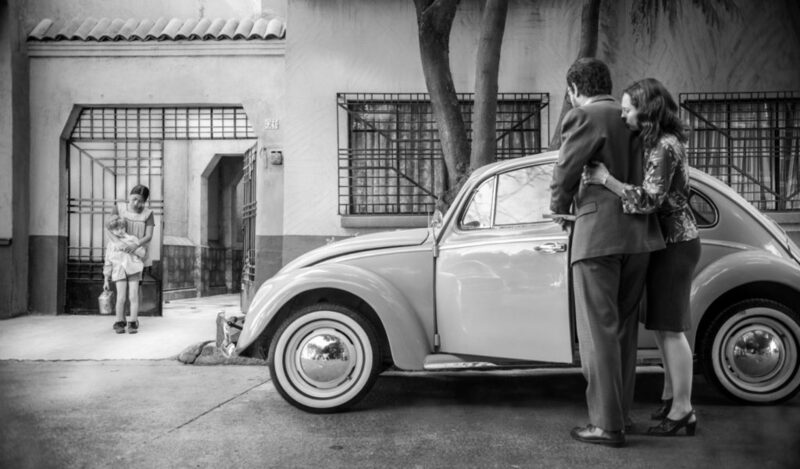 Filmed in scintillating black-and-white, the Spanish-language picture is set in the Colonia Roma neighbourhood of Mexico City in the early 1970s. 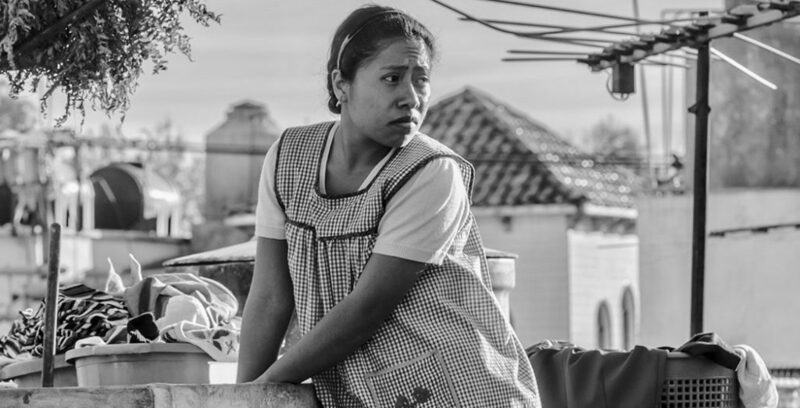 It follows a maid and nanny named Cleo, played by primary school teacher Yalitza Aparico in her first film performance, as she cleans up after a doctor’s family, does the laundry and nurtures the kids. Marina de Tavira plays Sofia, the doctor’s anxious wife who struggles to maintain the household with her mother, Teresa (Verónica Garcia), while her husband Antonio (Fernando Grediaga) spends an increasing amount of time away. Cuarón takes his time to show the mundane day-to-day activities of Cleo and her fellow maid Adela (Nancy García García), which involves housekeeping, baby-sitting, sweeping, bed-making, garbage clearing, wiping away tears and clearing up dog poop from the narrow car-port. Slowly, events begin to intrude as the doctor takes an unforeseen path and Cleo’s relationship with her overtly macho boyfriend Fermin (Jorge Antonio Guerrero) takes a turn for the worse. The film opens up into engrossingly larger scope as Cleo, Sofia and the children go on outings to the cinema, an extraordinary big family Christmas, and the seaside. Their personal dramas escalate as politics explodes in Mexico City and they are caught up in a street riot in which the military and gang-leaders leave many dead. Aparico’s lack of affectation makes Cleo’s growth through the film sympathetic, moving and unforgettable. Cuarón, whose film is a love-letter to his own childhood, does not shrink from making it clear that while Cleo is the foundation of the family she works for, she is still a maid. De Tavira is a professional actress but she also achieves a naturalness that informs her own character’s development. They both should be in line for awards. The kids are terrific and Veronica García, as the grandmother, and Guerrero, as the boyfriend, shine in a uniformly effective cast. Cuarón chose not to have a score on the film apparently in order not to sway audiences but with music supervisor Lynn Fainchtein he illuminates the picture with selections from the period. As director of photography, the director has a marvellous eye for tiny detail as well as the city-, land- and seascapes he captures so thrillingly. Eugenio Caballero’s production design is enhanced with seamless CGI to recreate a thoroughly compelling depiction of what Mexico City must have been like back then. 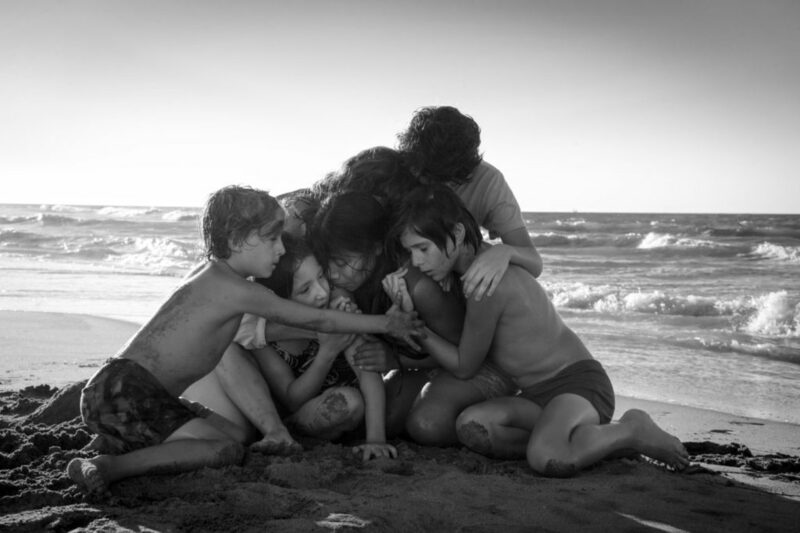 Netflix is to be congratulated for providing the funds for a picture that will endure as a classic and it’s to the streaming service’s credit that ‘Roma’ will be seen in some theatres in certain cities in several countries. It’s good that the film might gain an enormous audience via the internet but it’s a shame that so few will see it on the big screen where it cries out to be seen. Screened at the Toronto International Film Festival; Released: Nov. 30 (UK: Curzon Artificial Eye / US: Netflix) Streamed by Netflix from Dec. 14; Cast: Yalitza Aparicio, Marina de Tavira, Diego Cortina Autrey, Carlos Peralta, Marco Graf, Daniela Demesa, Nancy García García, Veronica García, Andy Cortés, Fernando Grediaga, Jorge Antonio Guerrero; Director, writer, director of photography: Alfonso Cuarón; Production designer: Eugenio Caballero; Editors: Alfonso Cuarón, Adam Gough; Producers: Nicolás Celis, Alfonso Cuarón, Graciela Rodriguez; Executive producers: Jonathan King, David Linde, Jeff Skoll; Production: Esperanto Filmoj, Participant Media; Rating: UK: 15 / US: TBA ; running time 135 minutes. 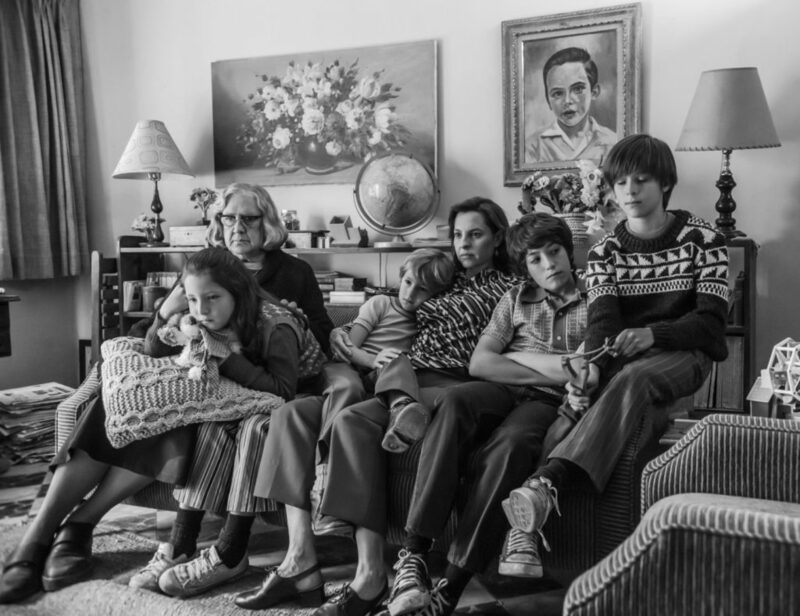 This entry was posted in Film, Reviews, TIFF Toronto International Film Festival and tagged 'Roma'. Alfonso Cuaron, Cursos Artificial Eye, Eugenio Caballero, Jorge Antonio Guerrero, Marina de Tavira, Netflix, Veronica García, Yalitza Aparicio. Bookmark the permalink.